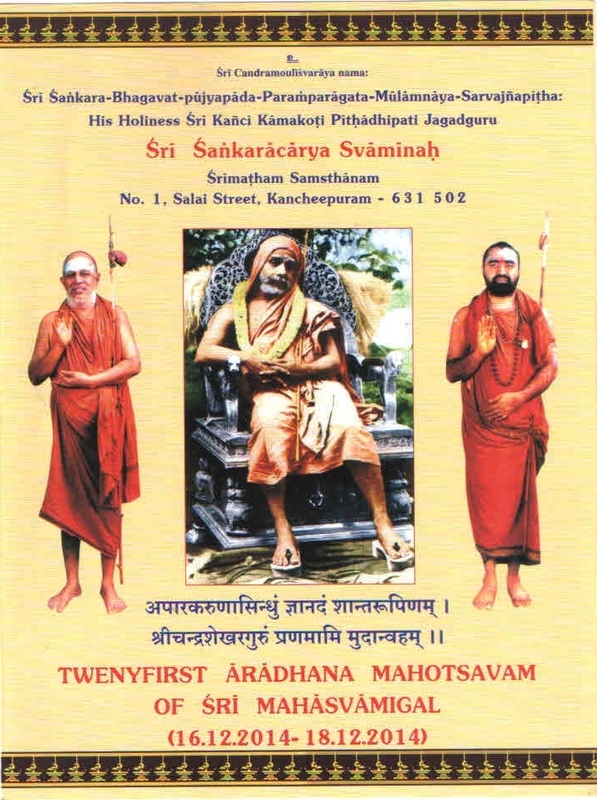 The 21st Aradhana Mahotsavam of His Holiness Jagadguru Pujyashri Chandrasekharendra Saraswathi Mahaswamigal, the 68th Acharya of Shri Kanchi Kamakoti Peetam will take place from 16- 18 December 2014 at Shrimatam, Kanchipuram in the benign presence of HH Pujyashri Jayendra Saraswathi Shankaracharya Swamiji and HH Pujyashri Shankara Vijayendra Saraswathi Shankaracharya Swamiji. 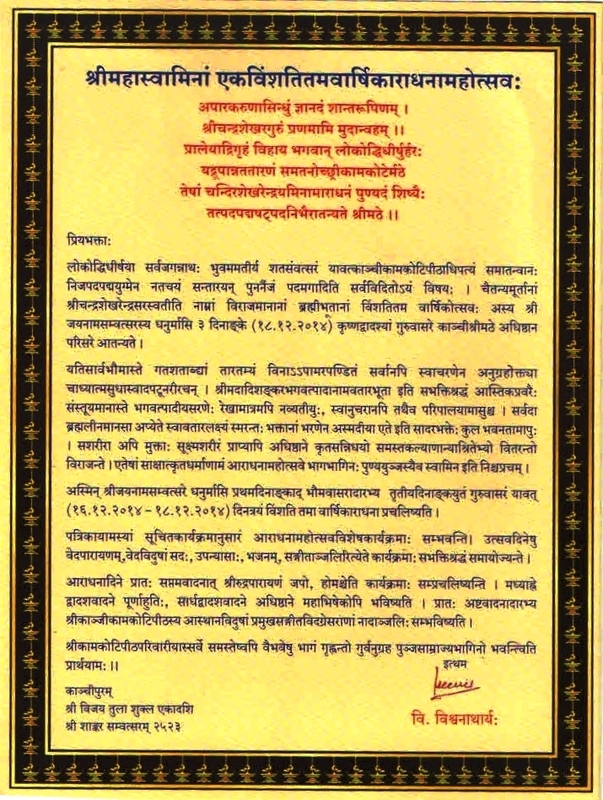 Veda Parayanam, Vidwat Sadas, Discourses and Bhajans will take place, commencing from 16th December. 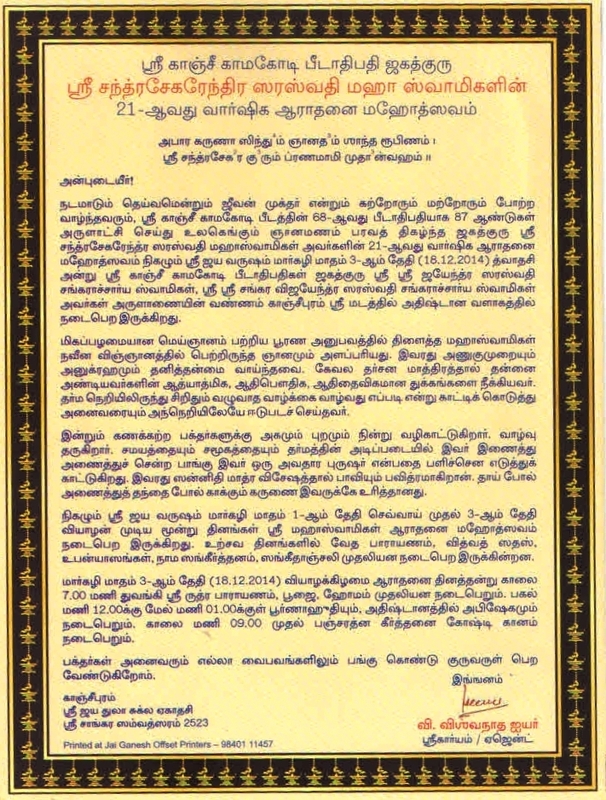 Ekadasa Rudra Japa Homam will commence at 7 am on 18th December - Aradhana Day. 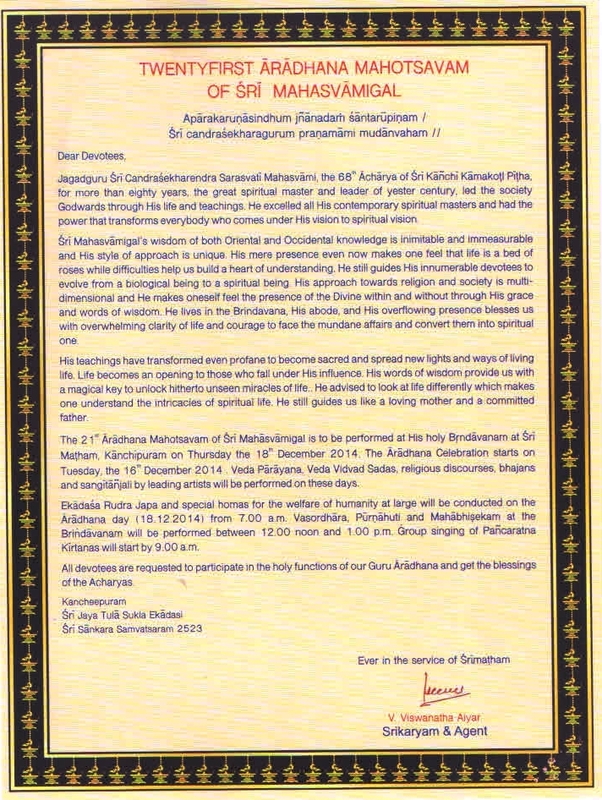 Vasordhara, Poornahuti and Mahabhishekam at the Brindavanam will take place between 12 noon and 1 pm. Pancharatna Kritis will be rendered 9.00 am onwards.